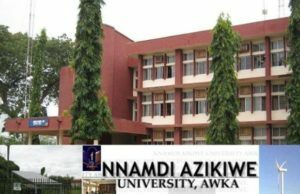 The Sandwich Unit of Nnamdi Azikiwe University (UNIZIK), Awka has announced admission into various courses leading to the award of Bachelors Degree in Education during Easter and Long Vacation period. 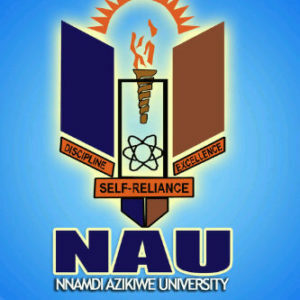 The Programmes are of: Four (4) year duration and Five (5) year duration, depending on one’s level of passes in NCE, OND, HND AND UNIZIK DIPLOMA AND NABTEB A’ LEVEL. Plus credit level passes in relevant subjects in S.S.C.E., G.C.E., W.A.S.C., T.C.II or their equivalents. Faculty /Departmental requirements must also be fulfilled. Adult Education / Political Science. Educational Management and Policy / Music. Education / Fine and Applied Arts. Guidance and Counselling / Economics. Technical Education (Building/ Woodwork, Electrical/ Electronics, Auto/ Mech). -Visit the Registration point at the Sandwich Unit. -Generate RRR pin for payment for application form fee payment. -Take the RRR printout, to any Bank within the campus and make payment of N10,000.00 for application form. -Proceed to the Sandwich Unit General Office to submit a photocopy of the online application form printout with photocopies of the claimed qualifications securely attached to the application form. Candidate should then Proceed to the Sandwich unit’s General Office to submit a photocopy of the online (application form) printout with photocopies of the claimed qualifications securely attached to the application form. UNIZIK Post UTME Screening Result 2018/2019| Released!